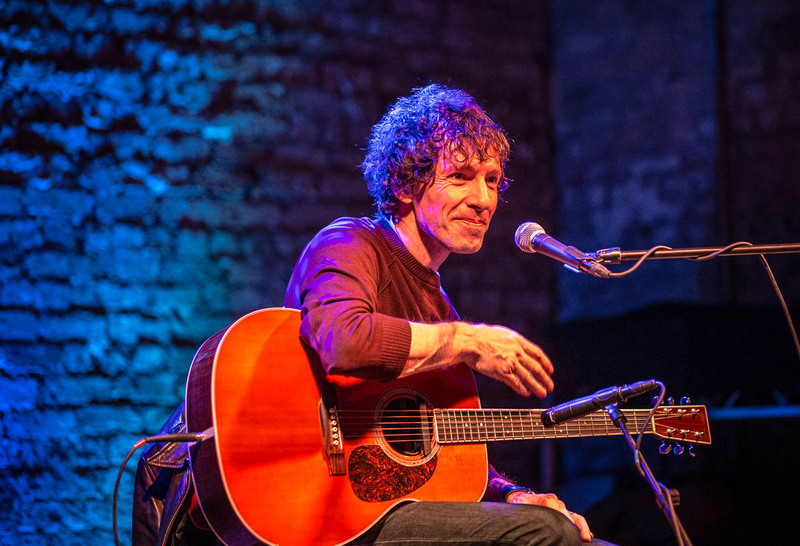 With The Stands Recordings plus new album on the way, Getintothis’ Howard Doupé catches up with Howie Payne on life old and new ahead of his UK tour. The end of 2017 is certainly gearing up to be Howie Payne’s busiest. After a celebratory stripped down homecoming gig at The Buyers Club at the start of the year, fans were kept eagerly awaiting news on the promise of whole band dates and a new release. 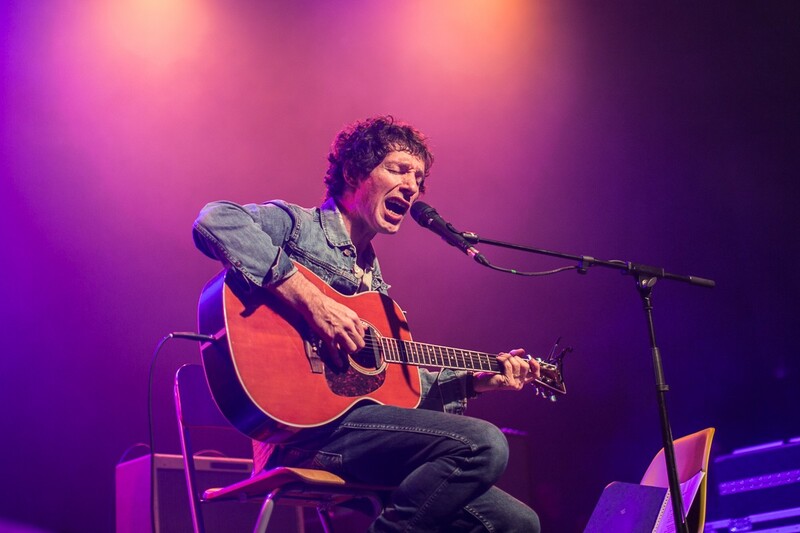 Further speculation arose when the tour details emerged – Howie Payne and The Band of the Sun, with seemingly no Liverpool date. Hometown fans need not have worried though, as right enough it came to light, the tour’s maiden voyage would set sail from the same venue that showed it’s love back in February. With the tour in mind and equally significant the impending release of The Stands celebratory vinyl set we caught up with Howie for a gab. Starting with a trip down memory lane, it’s needless to say there was a fair amount to discuss. Getintothis: Let’s get straight into it, can you tell us about the forthcoming release The Stands Recordings 2003 – 2005. How did it come about and why now? Howie Payne: “Yeah, it’s from a conversation I had last year with someone about those recordings. To be honest I hadn’t really listened to them in quite a long time, as you’re just moving on with things. Sitting around listening to your old records is something you don’t do. When I’d started to go back out on tour I was busy, working towards new music. It was during that tour that I was chatting to a lot of people about Bright Light Ballads and why that had never come out on vinyl. During the course of those conversations I thought this could be a good idea to do and so I put a vinyl release out through Pledgemusic. They were really, really helpful and it was cool to do that with them. Getintothis: With the current trend of revisiting past material, notably Noel Gallagher’s attempt at Be Here Now stalling after only one track, did you still feel connected to The Stands material? Howie Payne: “Well I still feel connected. I’ve always had a policy of an artist or songwriter of not battering my material to the point where I become bored of it. Because I hadn’t toured for about five years, when I did last September I was playing a couple of Stands songs. For me it was like playing someone else’s songs almost. I was refamiliarising myself with the material then y’know- not in the same headspace as when they were written. Getintothis: Going back to these songs, have any of them revealed greater meaning for you or shed a greater perspective on life now? Getintothis: Was it intentional to do a vinyl only release? Howie Payne: “It’s a little tricky to do a CD release because of ownership. Because the mixes are new and there’s versions on there that haven’t been released before that’s kind of the idea. It will be a shame that not everyone will be able to hear it because of this. My philosophy is that music should be available everywhere because then you can make the choice about how you want to listen to it. I’ve got access to The Rolling Stones’ catalogue on Spotify but I still buy Rolling Stones albums. Getintothis: There’s definitely a lot of people who’ll remember getting into music through taping the Top 40 off the radio. Getting hold of a Walkman just blew the doors off, you could suddenly take music anywhere with you. Howie Payne: “Absolutely! I’m like that with Spotify now. I’m into it. Can you imagine being 15 and having Spotify? It’s amazing having it now but being a kid when you’re first discovering everything. When I got Spotify I already knew who The Beatles were. And I already know who Pink Floyd is. But if you were just getting into music and had access to all that music, that’s just insane! There’s pros and cons, right? Whether you had to do more research in the past what difference does it make? Now all music exists at the same time. Syd Barret is just as ‘out now’ as say Harry Styles. The only difference is that they’re now competing for streams. To the kids, or whoever’s listening to it, it doesn’t matter if it came out today or 40 years ago. It’s just all music’s there for you to dip into that well and take a big drink of whatever you like. Getintothis: Going back to the new Stands release, I recall reading years ago that you intended the versions of songs on All Years Leaving to be demos. Was revisiting your chance to do things differently? Those sessions just ended up becoming the record as the success came really quick. We went on tour, a few more sessions and it was only a month or two after that session, When This River Runs Over You went into the charts – which was totally unexpected. No one thought that was going to happen. Howie Payne: “I never regretted anything we did. I was really driving everything so ‘the buck stops with you.’ That was the band we were, who got to do everything we wanted to do, we never had to compromise. We went out, we played, toured the world, we jammed onstage – a massive part of my philosophy was making the live experience different every time. Nothing much there to complain about! The one thing that I felt was a bit of a drag – with that first record at least – it never represented what we’d caught on the tapes. It had been squeezed into something that ‘might work on the radio’. It would have been great to have had more of an oversight into that process and stuck to my guns about getting it to sound like it did in the room. As the project took off I realized that just putting out the two records and the demos would be a waste – why would anyone want to buy them again? It felt like taking advantage so I’d rather try and do something new, a new perception on it. Getintothis: Talking of Noel, he did have an influence at the time of drawing attention to the so called ‘Cosmic Scouse’ scene. What else do you remember from those three days? Howie Payne: “There was so much happening in Liverpool at that time, what with The Coral, The Zutons, The Bandits and us. He never said as much but I know much he was into it all. He used to come up to The Bandwagon all the time. He seemed to get super-charged with his involvement in the scene. Pretty much after every track he’s there being the first person to tell us what he thought. We were a gang and Noel was very much part of it, his energy. On All Years Leaving there’s a great sound when he used an ebow on the piano strings, stuff like that. Bill (Ryder Jones) came down for the session adding piano. It was a magical time – it wasn’t just our music it was everyone’s music. Because were a new group of mates – we hadn’t been to school together – The Stands felt more like an open house, there was loads of collaborations. I was into playing music with everybody, we’d let anyone get up with us! Getintothis: How’s the preparations going for the forthcoming tour with The Band of the Sun? Howie Payne: “I can’t wait for the shows. It’s the first time I’ve played with a band for years. Playing solo is a special thing, a big part of what I do and always will be. It’s a different experience for everyone who comes and for me too. (Playing with a band) it takes off, all of the fire I used to love of The Stands, those energies don’t dissipate. The new stuff is really exciting, alongside some of The Stands stuff and solo songs that I never got to play live with a band. Sounds amazing. It’s a cracking band! Getintothis: What should we expect from the new record?